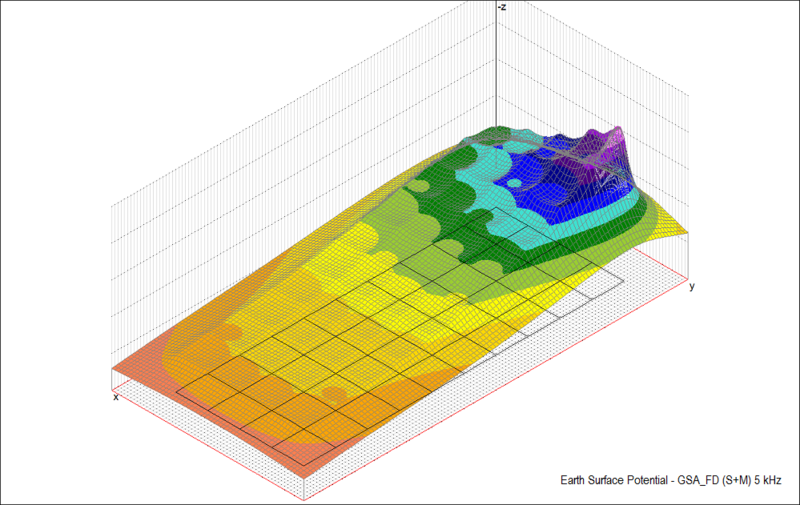 GSA_FD is an Engineering Software for Earth Grid Calculations and Design in the frequency domain from DC to a few MHz including Soil Resistivity Analysis. 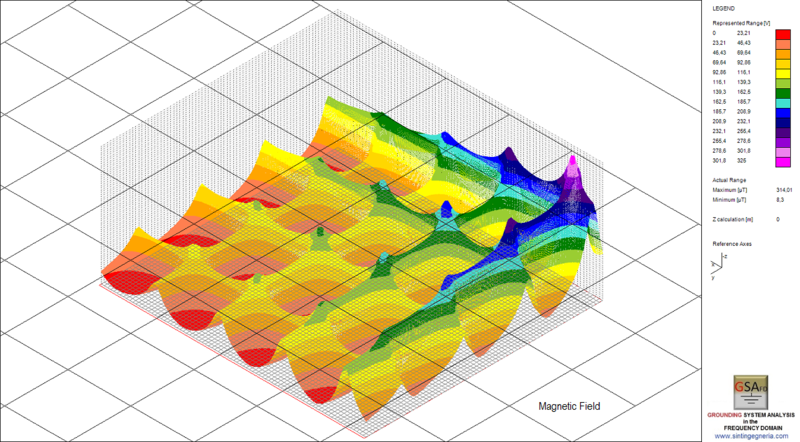 GSA_FD is useful in all cases where the hypothesis of equipotential condition of the electrode is not acceptable. 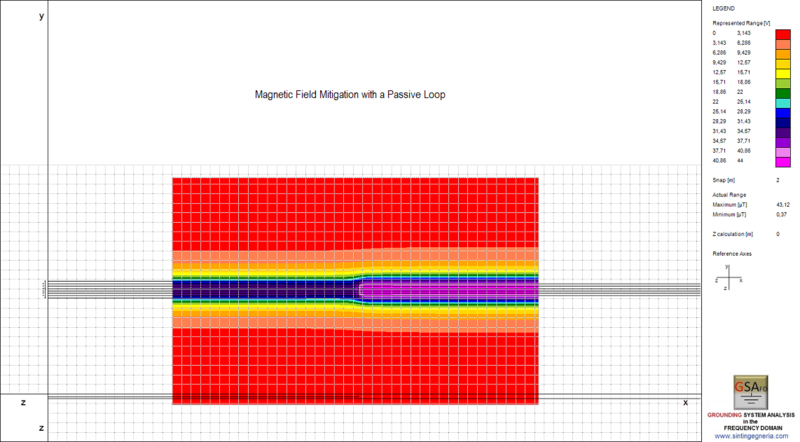 This happens with either large grounding systems, low soil resistivity, steel conductors or high frequency. 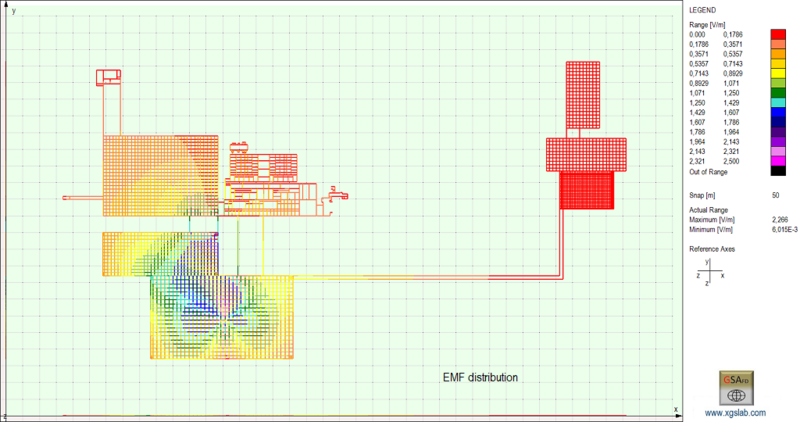 GSA_FD takes into account both self and mutual impedance effects. 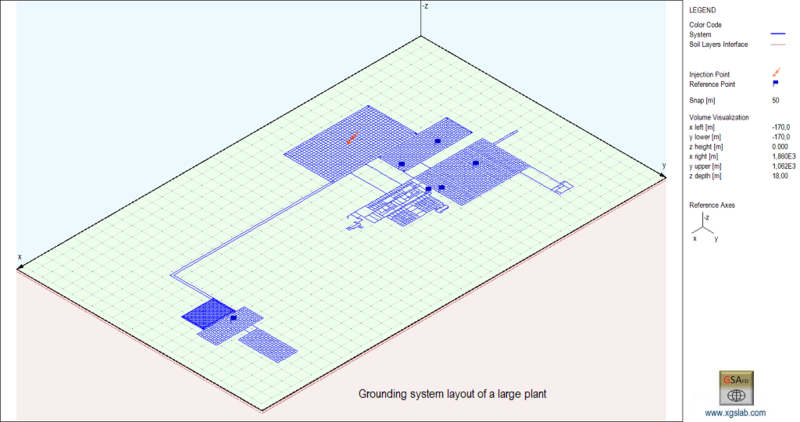 GSA_FD is a computation code for design and analysis of grounding systems in the frequency domain from DC to a few MHz. GSA_FD takes into account International (IEC/TS 60479-1:2005), European (EN 61936-1:2010 and EN 50522:2010) and American (IEEE Std 80-2000 and IEEE Std 80-2013) standards. 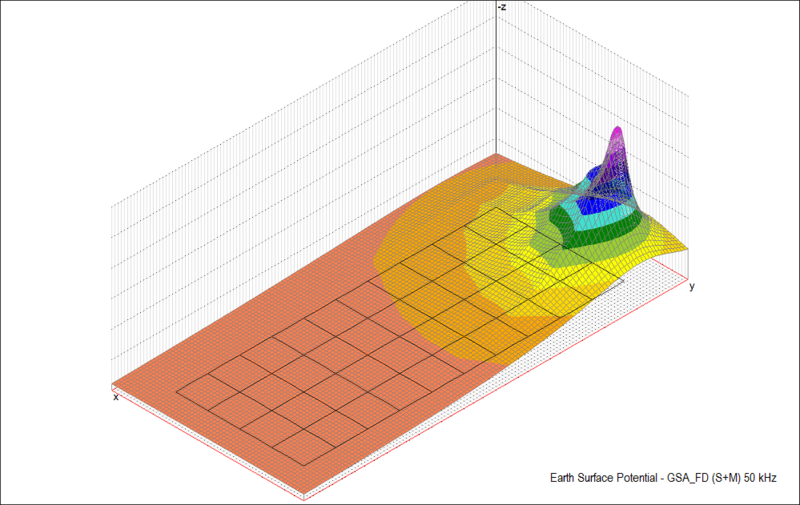 GSA_FD takes into account the frequency dependence of soil parameters and allows setting the used model choosing from the most established. 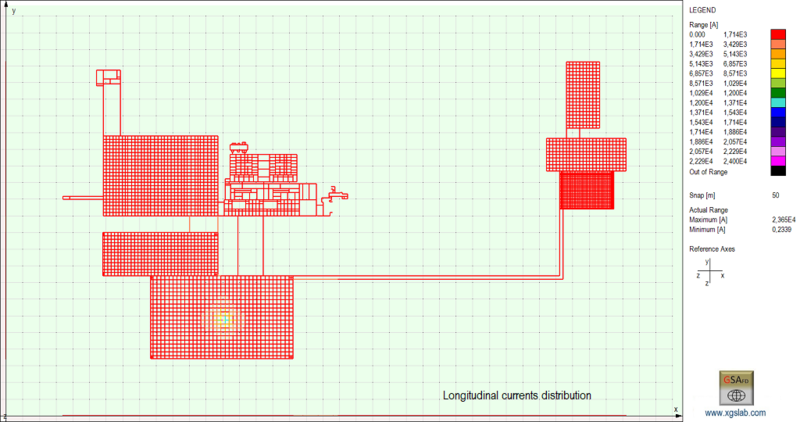 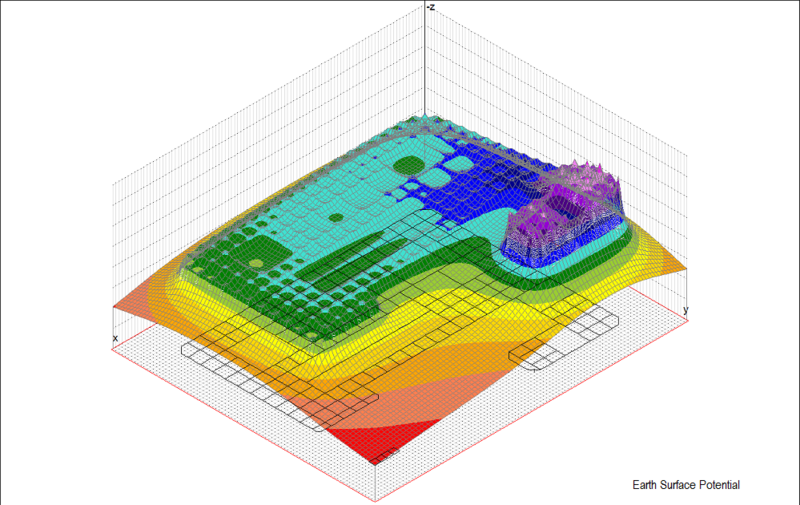 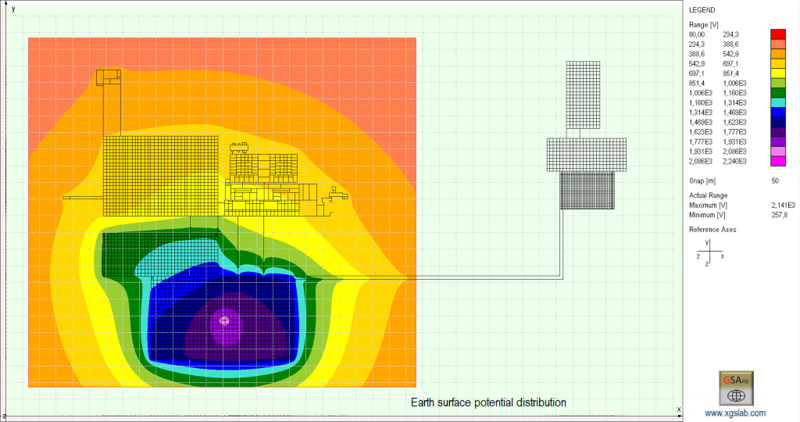 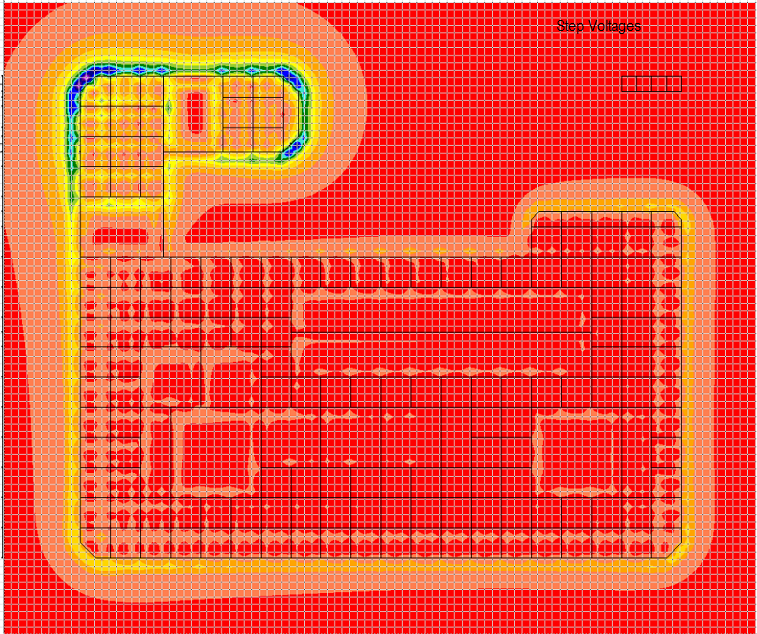 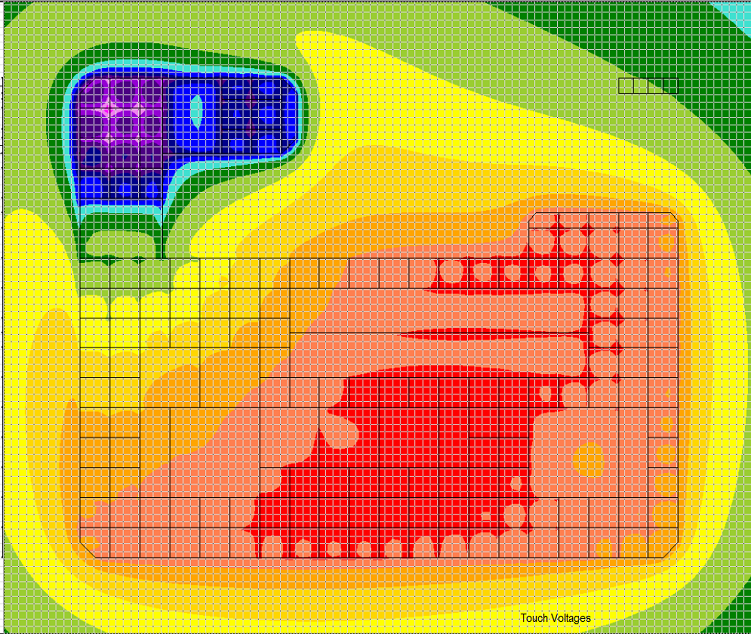 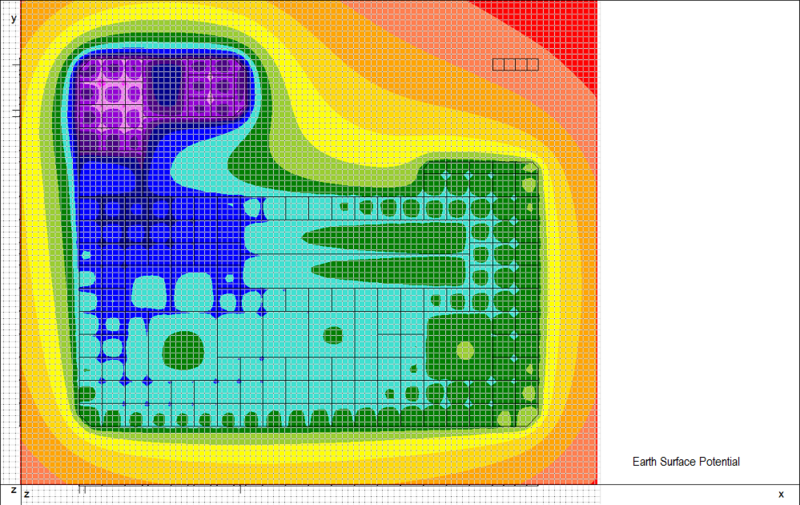 GSA_FD is able to analyse the frequency domain performance of extensive earthing systems composed of more distinct electrodes of any shape and size with a high detail level. 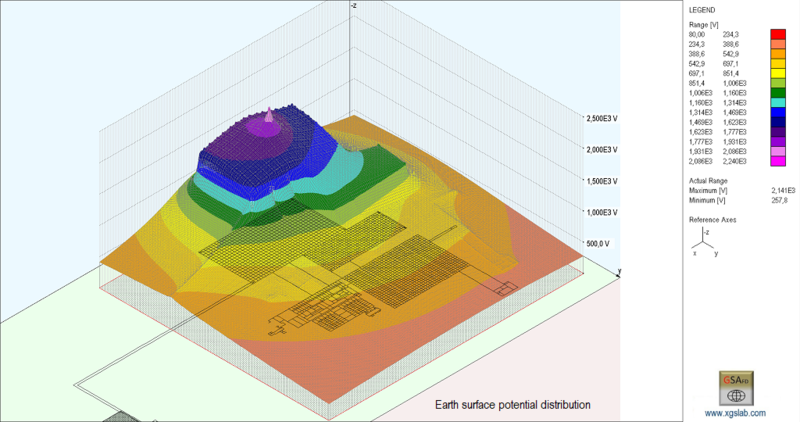 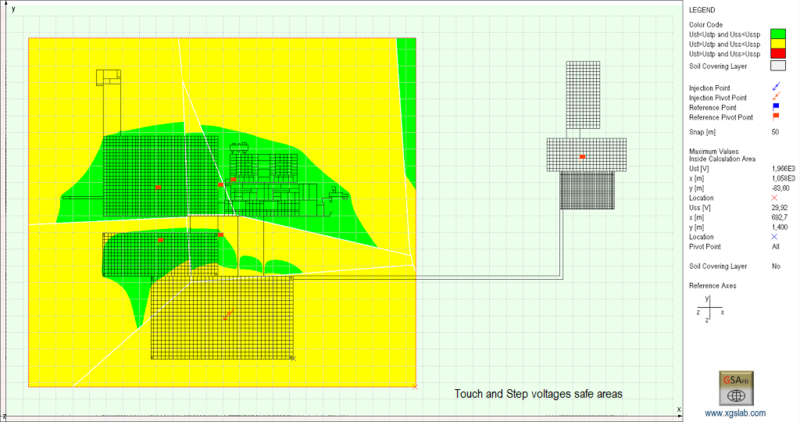 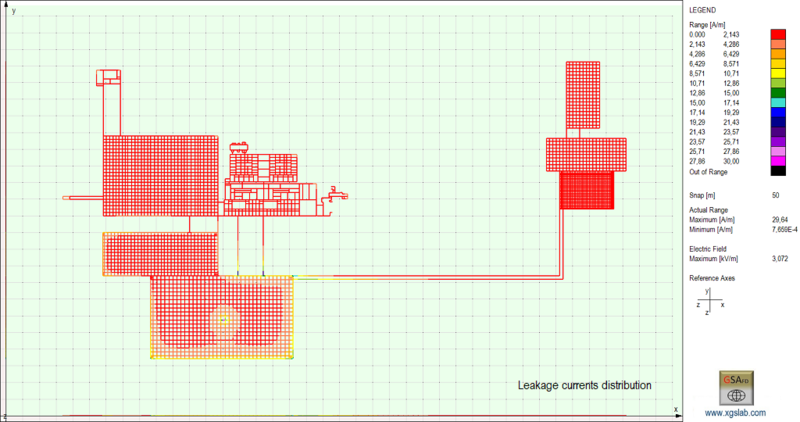 The graphical (from “dxf” files or from the integrated CAD) and numerical input data, the optimised and validated computation algorithms, the powerful graphical facilities render GSA_FD an indispensable tool for grounding system design and verification, when the drop voltage on conductors cannot be ignored. 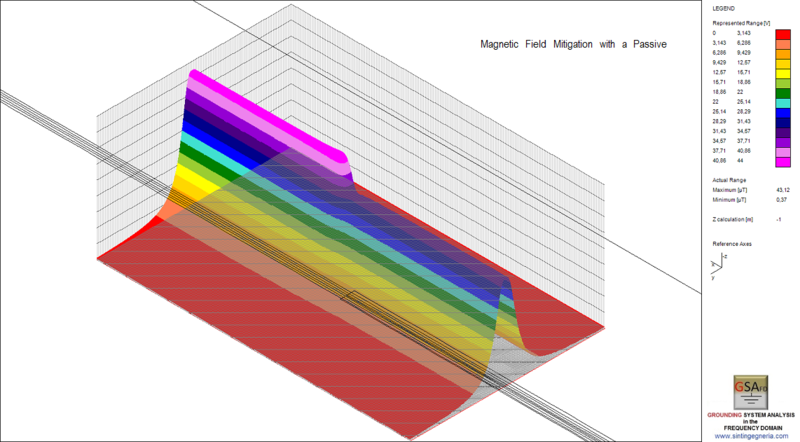 Moreover, GSA_FD takes into account both self and mutual impedance of the conductors. 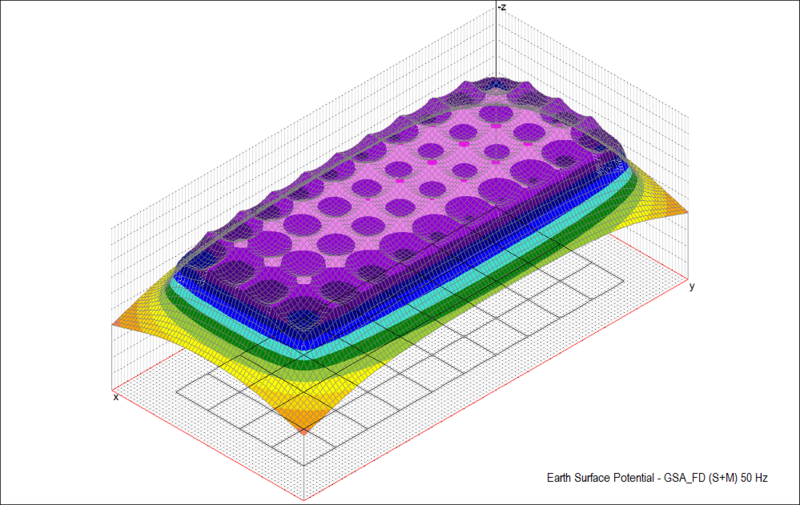 GSA_FD includes the module SRA to calculate uniform or multilayer soil model parameters starting from measured soil resistivity data. 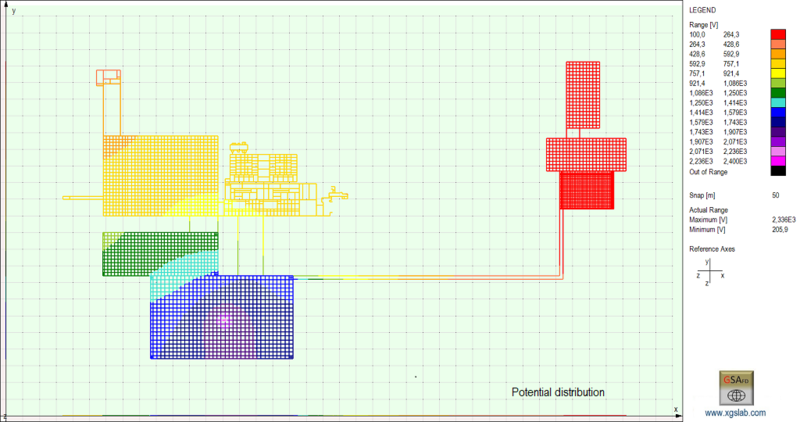 GSA_FD can also consider a multizone sol model. 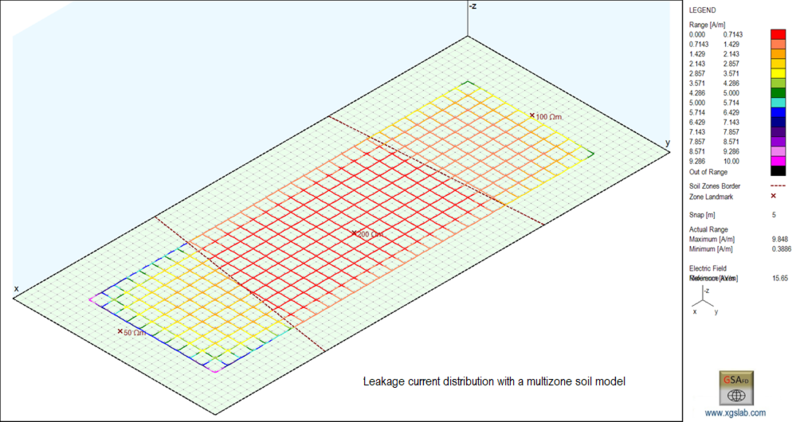 A multizone soil model should be used when the size of the conductors network is so large than the horizontal soil resistivity changing are more significant than vertical variations. 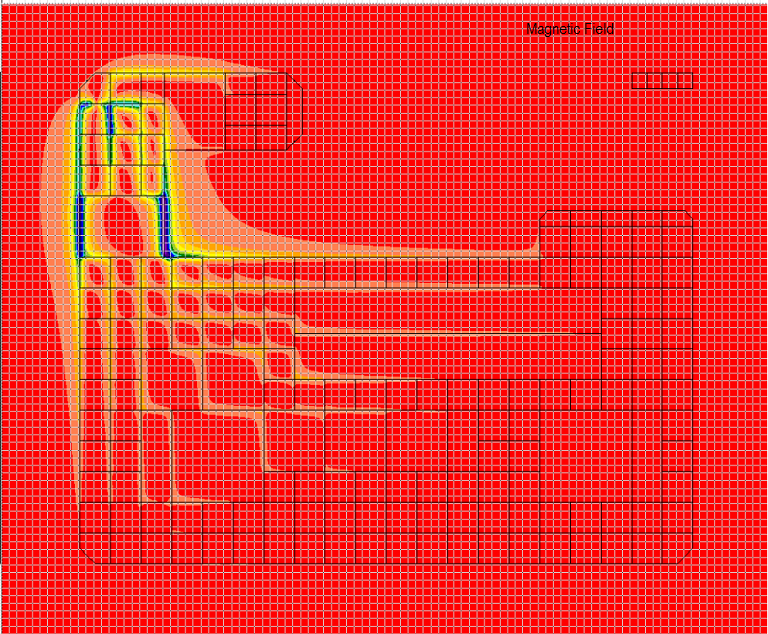 The buried electrodes can be realized with solid, hollow or stranded and coated or bare conductors connected in an arbitrary way.